Getting out of the States proved to be more difficult than expected. Most of the midwest was hit hard by a blizzard and most flights were delayed or canceled. We slowly arrived in Rio de Janeiro between February 1st and the 4th. Everyone did get to see the highlights of Rio, however never together. We divided into two groups and moved forward with the travel plans. Cristo Redentor (Christ The Redeemer) statue is spectacular and stands high above this majestic city. 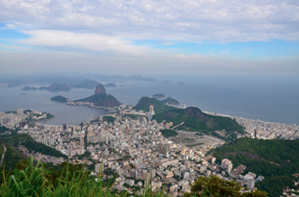 The views of Rio De Janeiro are tremendous. It feels great to finally be in South America and one step closer to our final destination, Ushuaia, Argentina.